Use Video Business Cards to connect with buyers and take conversations beyond the video player. Video Business Cards offer a unique way for you to connect with buyers. At the end of each video, you can overlay your contact information so your viewer can easily continue the conversation. It’s a one-stop resource for connection. 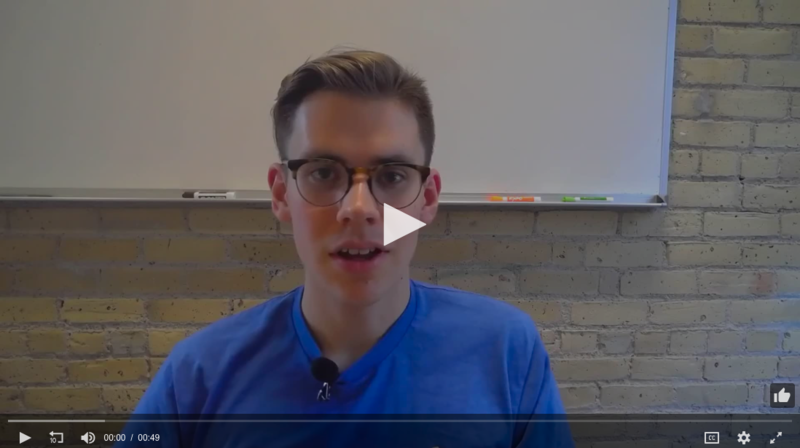 Each one of your videos will bring you closer to the next step of the sales process. And best of all, unlike physical business cards, these will never be misplaced. Relationship building is a whole lot easier with video’s most interactive platform. With Video Business Cards, it’s easier and more efficient than ever to connect through video. To make Video Business Cards the default for all of your videos, simply go to your account setting, and check “Show Owner Profile. To show Video Business Cards only on select videos, check “Show Owner Profile” under your settings for that video. Not using VidGrid yet? What are you waiting for! Get on the Grid today.